To a company unaccustomed to pressure, this executive order might have been unfathomable. Yet OST prides itself on being innovative, meeting tough deadlines, and yes, even being a little bit quirky. Within mere seconds we had developed a plan to lure in Mr. Biden. 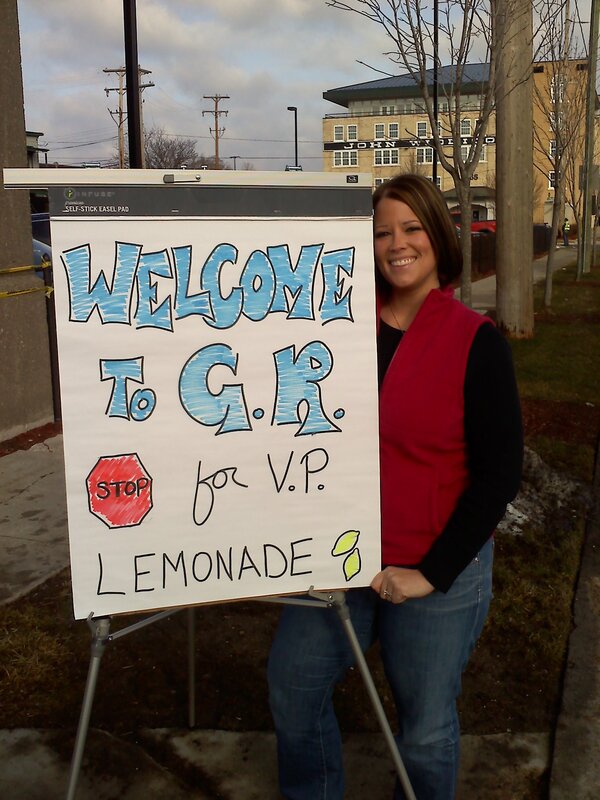 With no time for cookies, we reverted to a classical favorite; we made a lemonade stand for the Vice President. The presidential entourage was due in 15 minutes. And the OST troops rallied to meet it. Marketing Coordinator Alyson Sack drew out the sign. And Administrative Assistant Lisa Meyers made sure no one got arrested. A few minutes after we finished setting up, the VP’s entourage of police cruisers and black SUVs rolled down Seward Ave. Unfortunately, Mr. Biden did not stop. But we understood his reasons: he was on a tight schedule, the Secret Service was doing a good job and OST has some Republican employees. Still, when life gives you lemons, sometimes you can still make the local news.